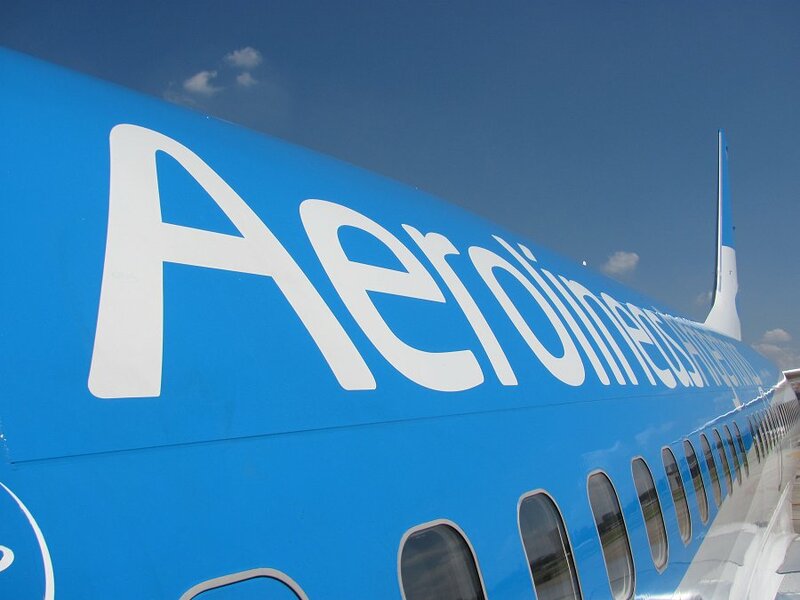 The new look of Aerolineas Argentinas, now a member of SkyTeam. Boarding my flight to El Calafate in Argentine Patagonia departing from Jorge Newbery Metropolitan Airport in Buenos Aires. Beautiful afternoon. Three hours flight time to El Calafate.